This letter is in response to Curt Brown’s article of Jan. 12, “Forging a better relationship between landlords, police in New Bedford.” Though we appreciated Curt Brown coming to our Greater New Bedford Landlord Association meeting on Jan. 11, (typically the first Thursday of every month at 7 p.m. at Cotali-Mar), I found the article somehow incomplete. In this regard, we invited the local state representatives and state senator in the region. Present at the meeting were State Reps Chris Markey, Bob Koczera, Paul Schmid and Tony Cabral. We appreciated their coming to this serious meeting. In no place in Curt Brown’s article was their presence or the purpose of the meeting acknowledged. 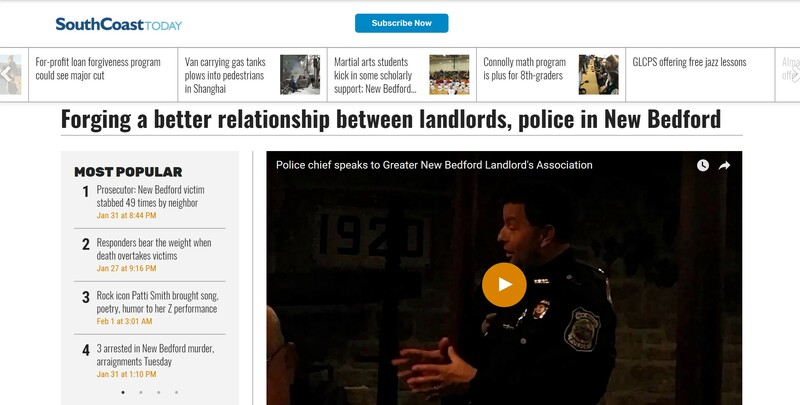 To pursue our goals, we had Captain Al Sousa and Police Chief Joseph Cordeiro talk about issues facing the city and Attorney John Walsh (also not mentioned in the article) discussing the difficulty of evicting problem tenants. Though the article quoted the chief as criticizing some landlord who moved his problem tenants around, does it really make sense that any landlord would go through a lawful eviction and then move the evictee to another property as was stated in Curt Brown’s article. This is absurd on its face. We all need to do a better job. That includes Landlords in running their properties, Police in catching criminals and assisting landlords and decent tenants in maintaining their quiet enjoyment of their property and politicians in passing laws to make it easier for landlords to rid their properties of problem tenants. We all need to step up. While this was going on, the City Council was passing more “problem property” ordinances. To quote Mark Spitz when asked what made a fast pool, he said “fast swimmers.” In that sense, what makes a problem property? Obviously problem tenants. What is needed is not more sanctions on landlords that are struggling to do the right thing, but more tools that will allow the decent people in our town to have a quiet enjoyment of their homes, neighborhoods, and city. 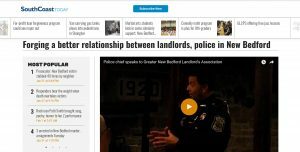 Rather than dealing with the simplistic notion that landlords can solve New Bedford’s problems on their own and passing laws that will make it more difficult for law-abiding landlords and tenants to call the police, let’s all work together (landlords, tenants, police, and politicians) to help solve the city’s problems. It may not be as cathartic as passing a “problem property ordinance,” but it may just be a first step in making New Bedford better. Did I mention that we meet the first Thursday of every month at Cotali-Mar? Mr. Mayor, City Council, are you coming? The serious landlords and people in the Greater New Bedford area want to know. Andrew Barroll is treasurer of the Greater New Bedford Landlords Association.